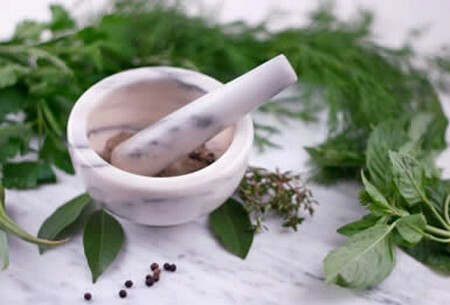 As with so many complementary therapies, homoeopathy’s origins he with the fourth-century Greek physician Hip­pocrates, who believed like cures like. But it was the promi­nent German doctor Samuel Hahnemann who, in the early 1800s, developed the method of treatment that we know today as homoeopathy by working out that substances which produce symptoms in a healthy person can cure those symp­toms in a sick person. His discovery occurred when, disillusioned with practis­ing medicine, noting that cinchona tree bark had proved effective in treating malaria, he took a dose himself and found himself having similar symptoms – fever, headache, malaise. Every time he took a dose, the same thing happened and on this he based his ‘Law of Similars’. Other doctors, drawn to his way of thinking, carried out similar experiments using animal, vegetable and mineral substances. Each remedy was ‘proved’, meaning all symptoms – emotional, physical, mental – were taken into account and specifically noted down. Hahnemann called his form of medicine homoeopathy, from the Greek words omeos meaning similar and pathos meaning suffering. When using the treatments on patients, he realized that large doses could cause side-effects, so he diluted them. He earned on diluting until there was little or none of the origi­nal substance left and yet the treatment still worked. This was because by vigorously shaking or ‘succussing’ the solution it became more potent. The more it was diluted and succussed, the more potent it became. Homoeopaths believe that the curative power comes from the process and that ‘footprints’ of the original substance energize the solution. Modern doctors still have a hard time accepting this theory. They work by fighting against disease and can’t believe that such a dilute solution can possibly have a curative effect. However, it may just be that there aren’t sufficiently sophisticated scientific methods for recognizing these ‘foot­prints’. But much research has gone into homoeopathy and results are positive. So much so that as far back as 1850 the first homoeopathic hospital opened and there are now five NHS homoeopathic hospitals around the country. Homoeopaths see illness as a sign that the inner body is out of balance. They therefore treat a patient holistically, or as a whole – taking into account their mental, physical, emotional and spiritual health – and will help the body to rebalance itself. To do this they will choose a remedy that is closest to your child’s symptoms in all these areas. Of the 2000 odd remedies now available, one will be chosen that will suit every aspect of your child – whether they are outgoing or introverted, eat well or are fussy, anxious or laid back, if the symptoms are worse at a particular time or on a particular side of the body. For this reason, parents are often not told exactly which remedy is being prescribed, as although no symptoms are ‘good’ or ‘bad’, some parents may be offended by the diagnosis! The first visit may last an hour or more as the homoeopath asks detailed questions to build up an overall picture of the child. As well as more general questions about health, family medical background, diet, constitution, sleeping habits and bowel movements, the homoeopath will also ask more un­usual questions, such as on which side does your child sleep, how they react to certain weather conditions, emotional responses to situations and so on. Only once a full picture has been drawn up will a particular remedy be given. A number of pills will then be prescribed, to be taken under the tongue and as often as advised by the homoeopath.